Over a decade ago, a few Scottish educators got together in a pub for a meetup. This spawned something that is still going to this day: the TeachMeet. I’ve been to a fair few in my time and, particularly in the early days, found them the perfect mix of camaraderie and professional learning. 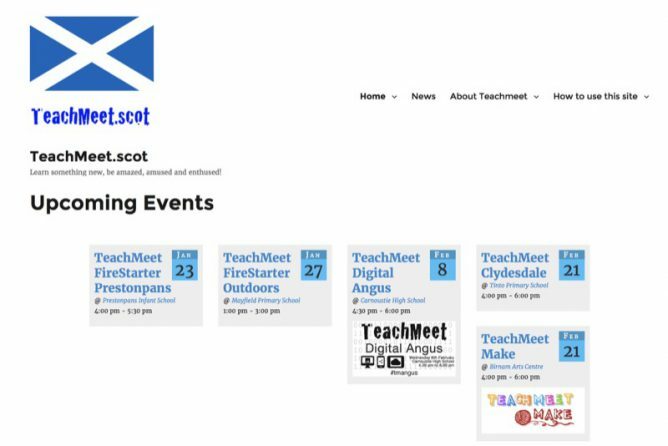 There have only been a few TeachMeets in scotland recently, I wonder if it is worth keeping TeachMeet.scot going? @athole nails the feeling that TeachMeet started with. A move away from professional development being done to us to being done by us. It is clear teachers need help from experts, research and leaders from both inside and outside the classroom but TeachMeet was started to provide a different sort of space. It is worth trying to keep it that way. Over the years I’ve enjoyed being part of Teach Meet. This new site aims to help promote TeachMeets in Scotland TeachMeet.scot. From pretty much the start TeachMeets have been organised on the TeachMeet wiki. This can at times get a little messy. There has been various attempts to tidy it up, some breakaway sites. I even worked on an attempt inspired by Ewan to make an alternative international site. That last came to naught. Very much in my opinion the wiki site does not function well: the front page was huge, with large graphics, spam was getting out of hand too. A couple of years ago I’d spent some time deleting spam comment, and suggested a reduction in logo size on the front page. This didn’t have any impact and I am sure that many folk are quite happy with the wiki. The new teachmeet.scot site was inspired when talking to Feargual, Susan and Athole last year. They had set up tmscot.wordpress.com in an attempt to reboot TeachMeet and Scotland and make organising & publicising TeachMeets a little simpler in Scotland. I was interesting in making something a little bit more usable than the pbwiki site. TeachMeet.scot is the result. It was ‘soft’ launched last year and has been used to organise a few TeachMeets. It is a work in progress, the aim to be a simple, easy to navigate site. It is open to anyone to use. Currently you can add a TeachMeet in a couple of ways: you can fill in a form and someone will add it for you or you can request an account and add as many as you like. How you organise a meet is up to you, you could use a contact form on the post, an embedded google form, link to eventbright or whatever you like to get folk to sign up1. It could be used instead of or as well as the TeachMeet Wiki site. We are hoping it will be useful rather than exclusive. There is no axes being ground, no profits being made. I organise the hosting and own the domain, but I consider it held in trust for TeachMeet rather than owned. These are some note from/for the Pedagoo Muckle event. I’ll update this with a few more details over the next few days. I was asked to talk about how to broadcast and share your event. I am very much an enthusiastic amateur in this field. This is a quick romp through some of the available tools from a quick and dirty point of view. The premise is that these events are worth sharing and folk can get value from attending virtually or catching up later. Is is possible to either record for posterity, broadcast live or both. Both give different affordances, recording shares across space and time, live broadcast may allow distant listeners to participate via twitter. 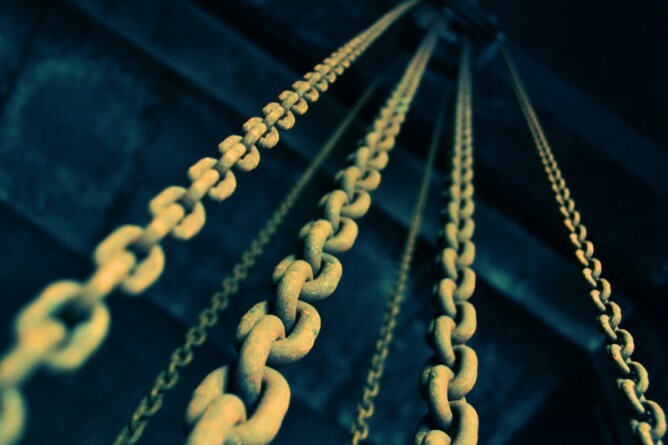 Short snippets may provide more value than recording whole events. Instead of recording a whole presentation or workshop 3-5 minutes with the presenter can be useful, or record a conversation between two or more presenters or attendees. What have you got in the way of equipment and more importantly space? How much effort will it be for what sort of size of audience? What you equipment will the results be watchable or audible? Who is going to do the broadcast. Have they any other jobs. Personally I prefer audio, less to go wrong or get right. Audio can also be listened to while the audience are washing the dishes or driving. Don’t forget text might be better, can be easier to give multiple viewpoints. Twitter is the easiest currently for live text. These are towards the quick and dirty end of spectrum. omnidirectional pattern – all directions are equally sensitive to sound. figure-8 pattern – the front and back are sensitive, while the sides are ignored. cardioid pattern – meaning the area in front of the mic is most sensitive, the sides are less sensitive, and the rear is ignored. Smart Phone/ video camera for watching later. Simple. Audio is important so consider adding a mic to the camera or your phone. Try to test the light, field of view and sound before the event starts. YouTube, the set up has recently changes, see When it’s Your Googopoly Game, You Can Flip the Board in the Air Anytime for details. The Hangout will open, use the link button to copy the link and send it out on twitter. Or schedule an event and share the link to the watch page ahead of time. Periscope iOS and android app, integrated with twitter. Works really well. Can save to camera roll. Ustream apps for live streaming with chat. All smart phones have some sort of recorder built in. This will work fine for archiving. Get the phone as near to the speaker as possible if you do not have an external mic. There are a host of better audio recorders, you can borrow some from Edutalk, including a Zoom H4n which is a nice piece of kit. Audacity or GarageBand, again an external mic is a good idea. Edutalk, we use a icecast server and are happy to share the account. There are apps to stream to icecast servers on all platforms. A bit more of a learning curve but we are happy to share. You want it to be as easy as possible for as many people as possible to view or listen to the recordings. Bonus sign up forms’ e.g. google forms eventbrite etc? This move from Susan Ward looks like continuing the re-boot of TeachMeet in Scotland. On Wednesday 21st September, we are launching TeachMeet Connect, a series of TeachMeets happening across Scotland on the same day, where teachers will get together and share what they do. Coinciding with the Scottish Learning Festival, this will be a celebration of all the good things happening in classrooms across Scotland and a chance to explore how TeachMeets can support professional development. 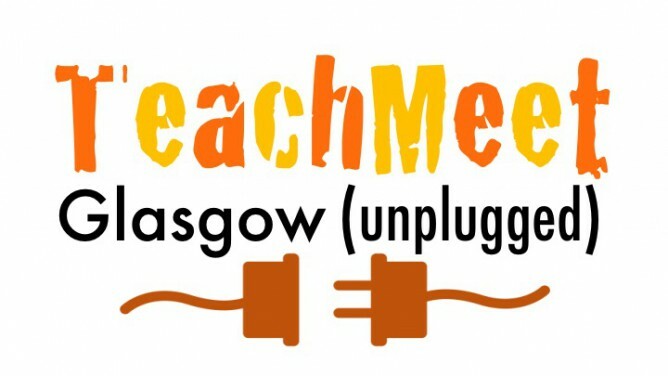 Whether you’ve been to loads of TeachMeets before or this will be your first, this is your chance to get connected to other teachers in Scotland who want to share too. We’d love you to get involved and hold a TeachMeet Connect of your own. There’s loads of info here about how to set up and run a TeachMeet and it’s entirely up to you how fancy you go- you could promote your event and have people sign up to come along and share, or you could just arrange a coffee with half a dozen colleagues where everyone talks about something that’s worked for them. 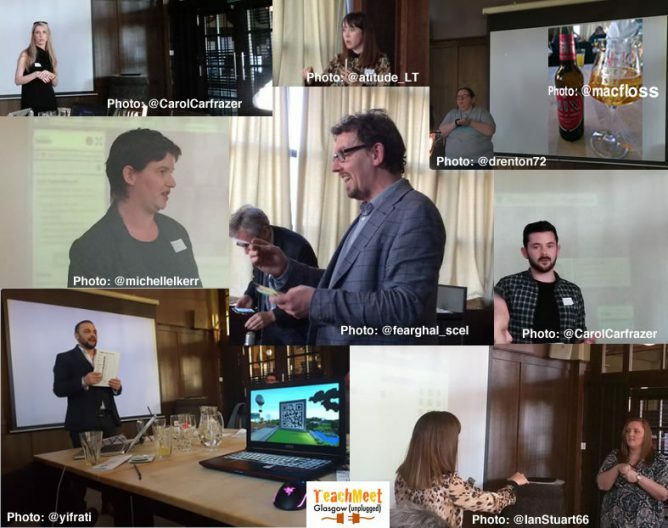 On the TeachMeet front it was good to read David, for a bit of nostalgia: EdCompBlog: TeachMeet – What’s in a name?, I got the name wrong the first time round, but I don’t think I am wrong in thinking that this new blossoming of TeachMeet in Scotland is going to be great. 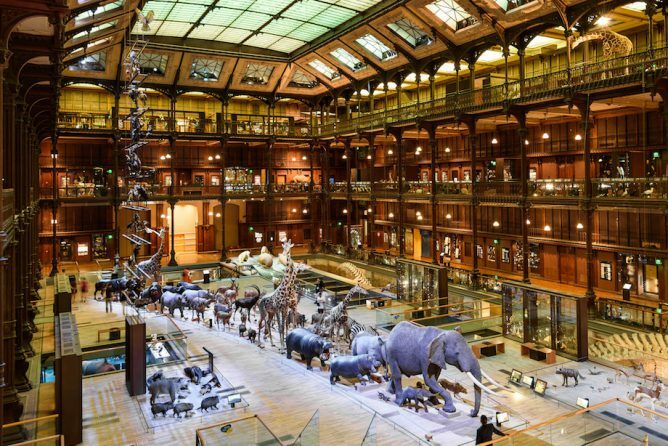 The featured image a the top of this post Great Gallery of Evolution a public domain photo from Joe deSousa on flickr. I spend a couple of days at BETT this year and saw some interesting things, here are my bookmarks for johnjohnston tagged ‘bett2016’Of course I missed far too much stuff and too many people. I did meet Oliver Quinlan and got a couple of Raspberry Pi tips. Seems it should be possible to set up a pi to scan for several WiFi networks and auto join a suitable one. You can also run a pi from a usb drive as opposed to an SD card (as I understand it you still need to start from the SD but point to a system on the USB). There was another tip from Oliver that is just out of memory at the moment hovering round the tip of my tongue. I hope Oliver will be a guest on Radio Edutalk this year. I saw the pi-topCEED and ordered one. there are 2 pi-tops. One a laptop and the other a ‘desktop’. I was going to buy another pi and always struggle for a screen to attach so this looked like an interesting idea. They were pretty flimsy but I think I’d mostly use them to set up a pi which then I would shell onto from an iPad or computer. Alan O’Donohoe was running a pretty wacky stand for Exa Education I watched his highly mobile presentation teaching 2 + 2 in python. An extremely rigorous approach to teaching hidden in an entertainment sandwich. I learned a lot more than the answer (4 mostly). I had a quick chat to Leon on the Exa stall too, as usual he is involved in fascinating stuff. One of the big things everyone was talking about was Microsoft acquiring MinecraftEdu. Microsoft are pretty upbeat about this. Other reports mention some possible problems. My immediate thoughts were that this might become part of Glow since a fair slice of Glow is made up of O365. As I said yesterday, I believe at this point, this is nothing more than another attempt by a technology giant to use ‘teacher frontage’ to mask it’s commercial agenda and make money. It’s also disgusting to think that the sell out of Minecraft Edu, which has used the IP and social capital of the broader community as well as teachers is being reaped in this way — and brazenly makes several claims and thin associations about ‘game changing’ learning, without any evidence whatsoever. I think Do it Kits | Make it, learn it, do it. was my favourite thing at BETT, the site is not really doing much of a job at describing the kit yet, but on on display used a Raspberry Pi to monitor a small mushroom farm. Hopefully these were followed on the night. Here is some of the twitter stream: TMSLF15 (with images, tweets) Storify I tried to cut out re-tweets and duplication (but didn’t spend too much time on that). 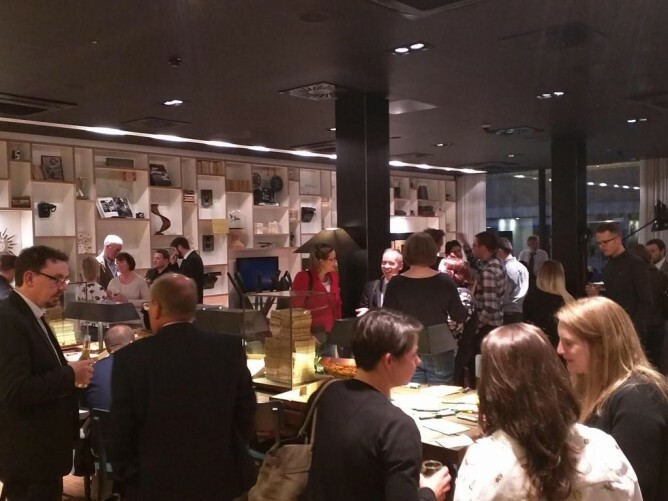 The image view on twitter is nice: #tmslf15 hashtag on Twitter. As it highlights the amount of chat that went on in the breacout section. We encouraged folk to post to the TMSLF15 Padlet about the ideas they discussed. I think the twitter stream is a bit richer. Athole recorded a couple of periscopes, not sure how log they stay up: Mr M on Periscope: “#tmslf15” Mr M on Periscope: “Part 2 #tmslf15” This was well received by several virtual attendees. We broadcast on Radio Edutalk, and I hope to edit the audio and post it soonish. Here are some of the links extracted from twitter. Image Credit Ian Stuart on Twitter. TeachMeet Scottish Learning Festival 2015 Breakout. It is time for TeachMeet SLF 15. This time we are going back to out roots (sort of). The precursor to TeachMeet was the ScotEduBlogs meetup in May 2006 in the Jolly Judge in Edinburgh. The location was choose because it was in Edinburgh at the same time as the eLive conference, it was a pub and it had WiFi. Over the years TeachMeets have diversified and spread. The locations have sometimes become a little more formal, with a focus on listen to one person at a time. We will still do that but the space at Citizen M will lend it self to breaking out into small fluid informal groups. I am not sure if I’d describe Citizen M as a pub, but it has a bar and the Wifi is the best I’ve experienced. You can signup on the wiki to present or head over to eventbrite for a lurkers ticket.